Ex Special Forces soldier Michael “Hawke” Hawkins has spent every day of the last ten years waiting for the moment he would get to watch the life fade from the eyes of the men who brutally murdered his wife, but when he finally gets the break he’s been waiting for, the trail leads him to someone he wasn’t expecting. 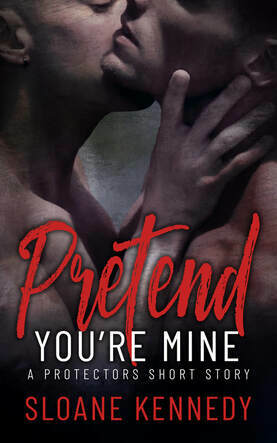 After nearly two years of running, 24-year-old Tate Travers has become an expert at hiding…until the day a dangerous stranger shows up looking for vengeance and threatens to destroy the fragile life Tate has managed to build for himself and his five-year-old son. Except the life Tate has been struggling to hold on to started unraveling long before Hawke showed up looking for the same men Tate has been running from…his own father and older brother. Retribution – it’s all Hawke has wanted since the day he held his wife’s hand as she took her last breath. And he won’t give that up for anything or anyone…not even the tormented young man trying to give his little boy a better life. Because Tate is the only one who can lead Hawke to the men he’s been searching for. And if it means forcing the young man to confront the past that nearly destroyed him, then so be it. But when it comes down to choosing between the unwanted feelings Tate stirs in him and the revenge he’s finally close enough to taste, will Hawke be able to give up the one thing that has kept him going for a second chance at a future he gave up on ever having? Knee deep in wedding preparations, Hawke and Tate are celebrating something even more important – Matty’s final round of chemotherapy treatment. As they anxiously await confirmation that their son is finally in remission, both men strive to give their little boy a normal life including a new house, playdates with Matty’s new best friend, Leo, and a new support system of men and women who are starting to seem a lot like family. Meanwhile, Mav is looking to make things official with Eli despite the young man’s busy schedule with medical school. But before he can ask the man of his dreams that very important question, he has to get past Eli’s family first, including a posse of two overprotective fathers, several intrusive uncles and a little girl who just wants to brush Mav’s hair! And of course, what wedding wouldn’t be complete without a little drama including some white hot sexual tension between a not so old grandfather and a certain cocky bodyguard? Add in some more Barrettis, a couple of precocious kids, several dogs, one spoiled cat and a gaggle of new, hot alpha men and you’ve got the perfect storm for a holiday that only the Protectors could pull off! 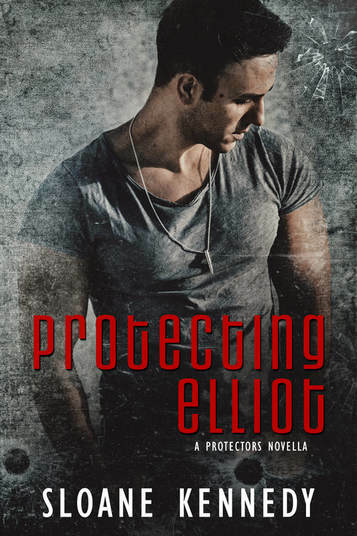 ​Protecting him was just to supposed to be another job. Until it wasn’t. At nearly forty years old, Cash Malloy has accepted that the lifestyle he and Sage, his partner both in life and on the job, live isn’t normal but is what both men need to escape the darkness of their pasts. But he also knows that Sage’s wounds run much deeper than his own and that there will come a day where what Cash can give Sage isn’t enough anymore. And after meeting the young woman Sage has become enamored with, Cash knows that day is closer than ever.